When Jane's stepfather gets fired from his job as a French teacher-turns out he doesn't speak French-Jane feels the warm glow of possibility. Soon, the family is on the road, driving through the night, on the cusp of an adventure that will take them across the continent. 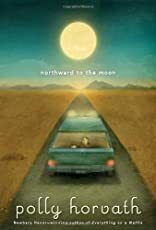 Wise, moving, and filled with humor, this Parents' Choice Gold Award-winning follow-up to the acclaimed My One Hundred Adventures by a National Book Award winner illuminates the strange and complicated ways in which people become families.